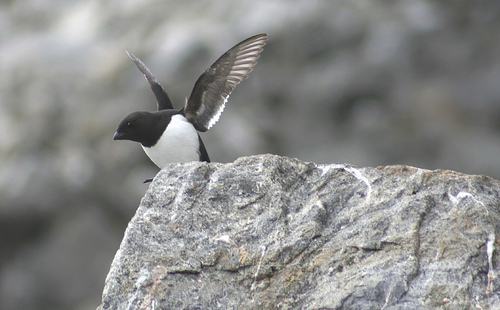 The Little Auk will not be seen inland, but only at sea or on the coastlines. It is a small bird, slightly smaller than a Blackbird with a beak that resembles that of a finch or sparrow. 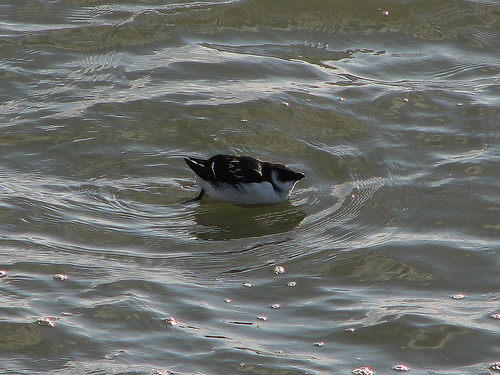 It hunts for small shrimp or plankton.